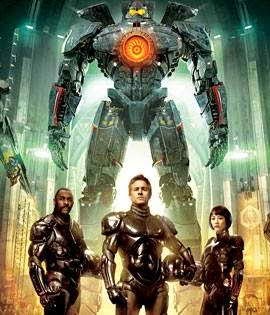 PACIFIC RIM 2 - Due Out in 2017! Director Guillermo del Toro announced today that there will be a sequel to Pacific Rim, due out in April of 201y. Additionally, they'll be working on an animated series to continue the stories of Jaegers and Kaiju. Part of the announcement included the teaser pitch about the story and characters and that is that "we are taking them into a fresh territory that will display amazing sights and battles. The first film set the stage and now we’re ready to have a blast." And if you want to see some of his work in more recent times, keep hyour eye out for the FX TV series, The Strain. The Strain was a book series about a new kind of vampire, written by del Toro and Chuck Hogan, and it was a pretty good tale. Thought they expect the original cast to return to Pacific Rim, (meaning hope they return), no official word on contracts with the actors have been announced yet.